Whether you live in Annapolis, Highland Beach, Hillsmere Shores, or another town in Maryland, our team at MINI of Annapolis is here for you. We love helping used car seekers find their next dream vehicle, and we’re here to guide you throughout the entire buying process. 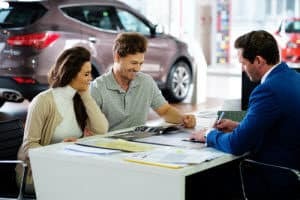 Read on to learn how we serve your hometown as a nearby car dealership, and contact us if you have any questions. Our vast inventory contains many used sedans, coupes, crossovers, SUVs, and more. No matter what type of vehicle you’re interested in, we’ll help you find the right one for your needs and lifestyle. If you have a few in mind that you’d like to know more about, simply schedule a test drive to get an up-close look at the car and see how it performs on the road. Along with a wide variety of used cars, we offer different pre-owned vehicle specials. Check out our specials page regularly, as the list changes often. When you find your ideal pre-owned car, you can get started on the buying process by filling out our short and secure finance application to get pre-approved. Then, meet with our finance experts who will discuss your budget and driving needs to come up with a payment plan that you’re satisfied with. They’ll then reach out to local banks and lenders to get you the loan terms that you deserve. After you’ve driven your next pre-owned car home, you’ll want to make sure it lasts for many years and miles. One good way to do this is to take it to our state-of-the-art service center for routine maintenance or any needed repairs. Our certified technicians have the skills and knowhow to work on all types of vehicles, no matter the issue. Whether it’s a simple oil change or a more complex transmission repair, we’ll work hard to get your car in tip-top shape. We’ll also only use genuine parts, and we’ll work quickly and efficiently to get you back on the road as soon as possible. If your car needs service, either give us a call or schedule an appointment online, and we’ll confirm a day and time that work best for you. 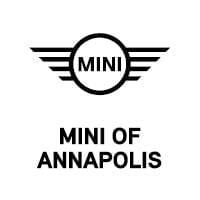 At MINI of Annapolis, we pride ourselves on being a nearby car dealership throughout the Annapolis, Highland Beach, and Hillsmere Shores areas. If you’re interested in how we serve drivers in your town, simply find your city on this page, click the link, and start reading. Then contact us when you’re ready to begin your car buying journey. We look forward to hearing from you!